The website's design does not only give a clean and fresh approach the whole experience, but it is also user-friendly making it easy for the users to navigate through it. 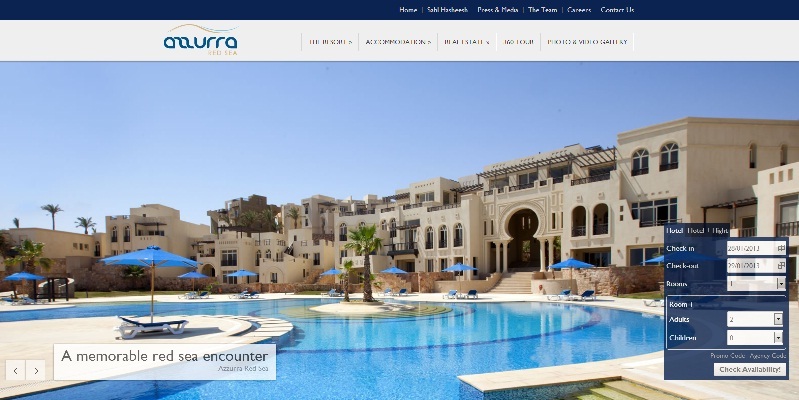 The new portal for Azzurra Red Sea is not only an informational platform for the visitors of the website, but it also gives the opportunity to the users to book their hotel stay directly through it as well. The website is being powered by addaJet - an innovative online booking engine software that brings the power of dynamic packaging right to your website. For more information on addaJet kindly visit the following site.